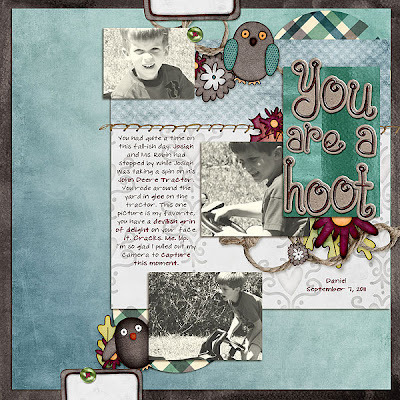 Fiddle-Dee-Dee Designs: New Release for September 9, 2011, The Daily Digi Feature & Mega Kit BOGO! New Release for September 9, 2011, The Daily Digi Feature & Mega Kit BOGO! 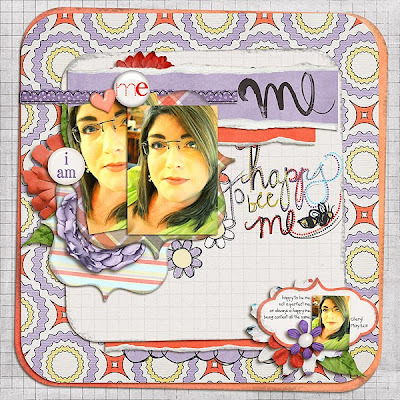 Most of the time I love to highlight one photo on my layouts, but I've been attempting to change this scrapping habit. 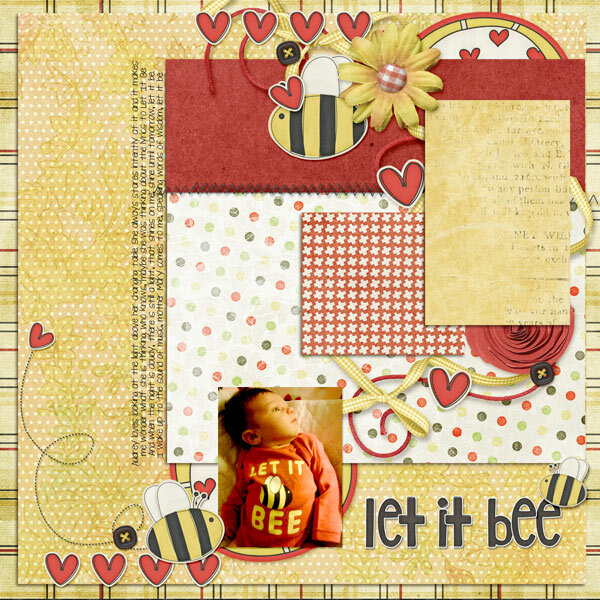 Fuss Free: One Two Three Four is a template set perfect for those baby stepping out of single photo use (like me!). Start with template one that focuses on one photo and work your way up to using four photos on a page. You could easily add or remove photo spots on these templates for maximum versatility of this set. 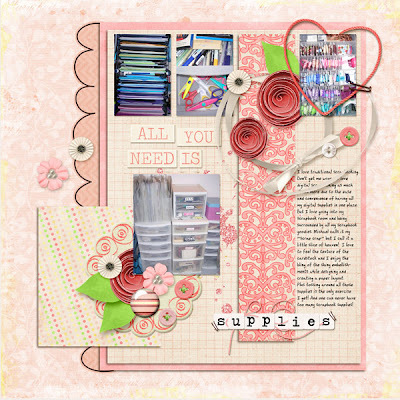 Enjoy 20% off this Fresh Fruit item ~ image is linked to the Scrap Orchard Market. 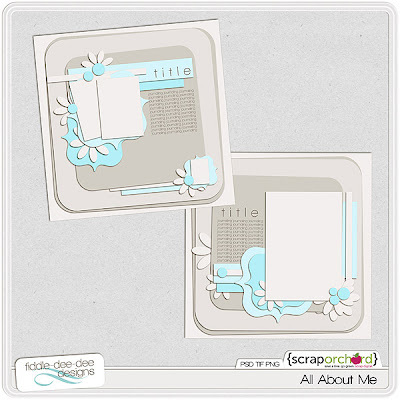 There is a BOGO coupon at the end of the article for Scrap Orchard mega kits. The only thing better than one mega is two ~ buy one mega, get one free! 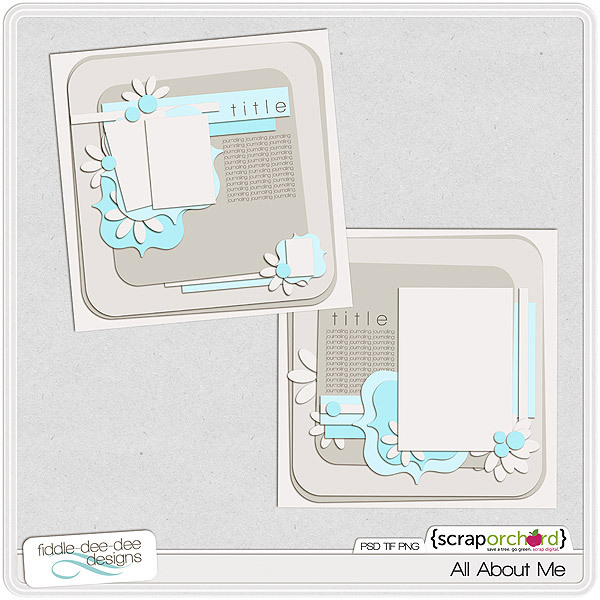 There's lots of fun information about Scrap Orchard as well as product highlights and inspirational layouts. Click on The Daily Digi image above or click on the following link to get the coupon information (hurry, the coupon expires at the end of September! ): Scrap Orchard: Hello? Vegas! Be inspired by some amazing layouts using Fuss Free: One Two Three Four by my Creative Team and the Scrap Orchard HoneyBees! 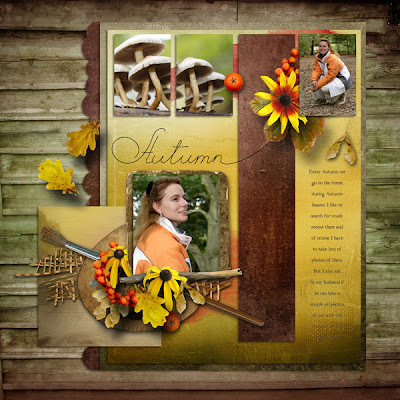 Thanks so much for stopping by the Fiddle-Dee-Dee Designs blog. Happy Friday!! !